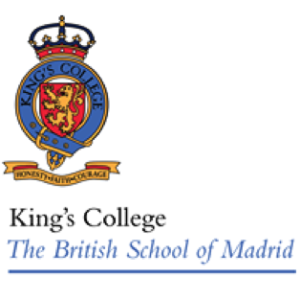 Founded in 1969, King’s College is the largest British school in Spain and the first to have had full UK accreditation through the Independent Schools’ Inspectorate. It is a co-educational day and boarding school following the English National Curriculum and students are prepared for (I)GCSE and GCE AS and A Levels. All pupils learn Spanish and there is a Spanish section for pupils wishing to take the Spanish Baccalaureate from the age of 16. The school has over 1400 pupils representing 48 nationalities and a professional teaching and non-teaching staff of over 140, most of whom are British. 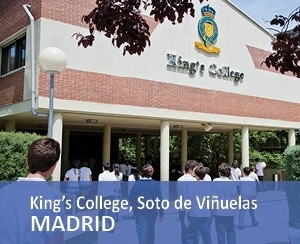 King’s College has high academic standards and excellent examination results and students go on to top universities around the world. An Oxbridge preparatory group works with the most able students to prepare university applications. There is a very experienced Careers and University Entrance Advisory Department. Just recently pupils have gone on to study at Oxford, Cambridge, Berkeley, Yale, LSE, Imperial College London, UCL, Stanford and many other top universities in the UK, Spain and the USA. The school stands on a 12 acre site in a residential area about 25km to the north of Madrid near the Guadarrama Mountains and surrounded by open countryside. It is well connected to the city centre, just a 20 minutes’ drive from Madrid and the main airport. There is an optional comprehensive bus service to the city of Madrid and its outlying residential areas and all routes are supervised by a bus monitor. From Reception to Year 13, all classrooms are fitted with interactive whiteboards and there are computers in all Primary classrooms. Recent additions include an Early Learning Centre, an Auditorium with seating for over 350 people and a Music School with 6 rooms for individual or small group tuition. The boarding residence (Tenbury House) opened in September 2011 and offers some of the best accommodation in Europe. Tenbury House is home to approximately 50 pupils from around the world. These high-quality facilities offer a ‘home from home’ environment with shared and individual bedrooms all with en-suite bathrooms, underfloor heating and wireless internet. In addition there is a dining room, a common room, a TV room, a study room, a kitchen that pupils can use to make light meals and a laundry. During the evenings and weekends, the students in Tenbury House have full use of these facilities and can also take advantage of many of the school’s sports facilities.